Welcome to The Pet Beastro Loyalty Program! There are several different ways to earn points and rewards! We launched our new Loyalty Program called Perkville on February 1, 2019! Due to the software and privacy restrictions, you will have to sign up with the new program using the email you signed up with us previously to receive your roll over points from our old program. STEP TWO: Don't forget to go into your email and confirm your subscription. STEP THREE: Start earning points and receiving rewards! 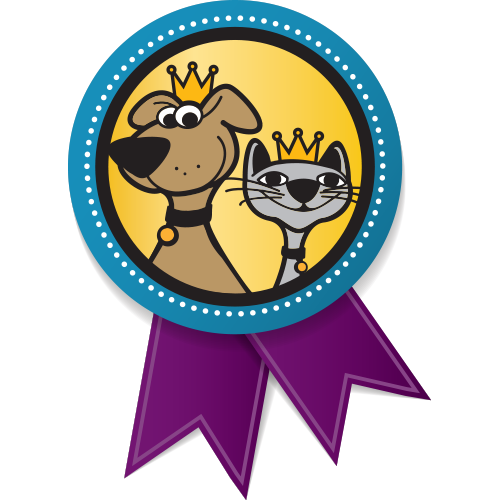 With every purchase at The Pet Beastro, you earn points toward exciting rewards! Every purchase equates to points. So, $1 = 1 point. Every point gets your closer to a reward! Once you achieve a certain level of points, you get extra bonuses! It may take up to 24 hours for points to show up on your account. 50 points = Just for signing up to the new program launched 2/1/19. 50 points = Follow us on Twitter. 15 points = Share your most recent purchase on Twitter (directly from your point statement). 200 points = Refer a friend who comes in and makes a purchase. Your friend will also receive a $5 off coupon to use on that first purchase. Points will be added after your friends first purchase. 200 points = For your pet's birthday on file. Note only one pet per customer at this time due to limitations of the software. Keep a lookout on our social media and our emails for additional ways to earn more goodies, double and even triple point shopping days! You can use your points once you reach a certain level or continue to accrue them until you reach the level you want to reach. There is no cash value for points. 50 points = Refillable Dog Treat Cup or Catnip Tin to use for our monthly refill program. Only one cup or tin per household. Click here for more details. 200 points = $5 towards non-food items including treats, toys, and supplements on a $5 purchase or more before tax. 400 points = $10 towards non-food items including treats, toys, and supplements on a $10 purchase or more before tax. 800 points = $20 towards non-food items including treats, toys, and supplements on a $20 purchase or more before tax. Note: Your points must be redeemed on your account for vouchers and then the vouchers must be presented at the store. There is no cash value for points. Bulk orders, consultations/services, and custom blends/remedies are excluded. The overall points you earn over a lifetime are added up. Pet Beastro recyclable bag for 1 point. Every 5th Saturday, receive 20% off everything you can fit in your earned Pet Beastro recyclable bag with the 5th Saturday tag. Once you reach this level you are always at this level. Exclusive invitations to our VIP parties held a couple times a year. We offer tons of goodies, fun activities, and giveaways for our most loyal supporters. This level varies for every VIP party based on customer spending habits prior to events. You will receive an emailed statement (sent to the email you signed up with, please check to make sure we are not going to spam) after every purchase letting you know how many points you have and what rewards you have earned. Simply click redeem and bring in a paper copy or mobile phone image of your voucher to receive your reward. You may utilize our expanded frequent buyer programs and earn points too. Click here to see our complete listing! Please let us know at checkout if you want to be included in the frequent buyer program. We look forward to rewarding you in the year ahead for all you do to support our family here at The Pet Beastro!